Training camps are an exceptional opportunity for young people to develop their skills and interact with others in a stimulating setting. That’s why Training Camps were part of the DEEP-linking Youth project since its very beginning. After a successful first Boot Camp in Hungary, a second Boot Camp project took place on 26-27 September 2016 in Zadar (Croatia) and gathered 40 participants (17-35) and an international group of trainers. The Boot Camp and the training were organised by GONG, a Croatian civil society organisation, in cooperation with Croatian experts and partners from the EU. 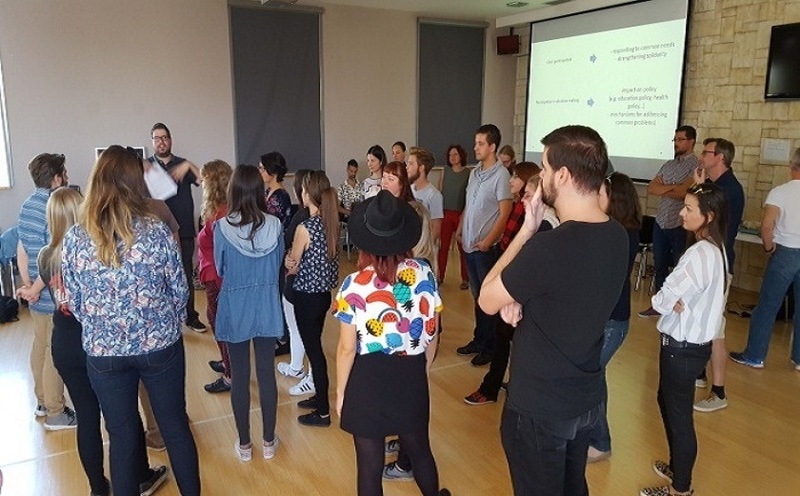 The expected outcomes of the training included feedback and proposals from the young participants and video content on mobility issues.The focus was on listening to the voice of youth on the topics of mobility and the future of the Erasmus+ programme. Apart from the presentations and theoretical backgrounds, the training methods included practical exercises and discussions based on participants’ experiences and video production, to support expressions of opinions and suggestions provided by the young participants. Ten videos were prepared during the training. A full report of the Boot Camp is available here.